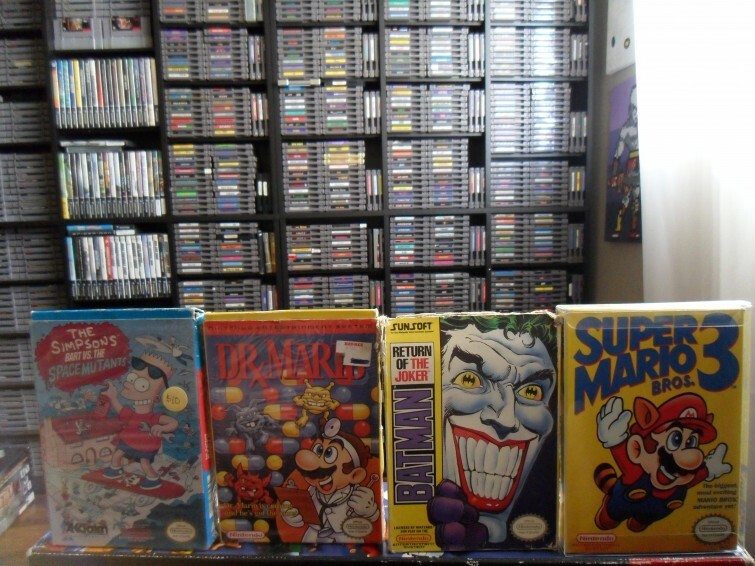 The simple idea of video game collecting is one that can take a major turn at any moment. If you are just starting out you want to have the biggest, baddest collection around. Most of the time that implies that you will buy any and all games you come across. This will be fun and exciting for awhile until you realize how expensive and space consuming it can be. You are going to have to narrow your focus on something. So what do you do from there? When I started collecting I did not have a prejudice against any system. I would buy from Atari up to PS2. If felt great coming home every weekend from the swapmeet with bags full of games. I’d spend $40 here $50 there. It didnt feel like a lot because I was scoring so many games! After about a year of this, my room was overrun with games and I started to notice that “tiny” dent in my wallet. I had to face the facts: I couldnt collect for every single console anymore. Trust me, I love video games, but I barely had time to play any of them. I didn’t have time to play Atari 2600 games. To be honest, I had no desire to. I knew I would have to sacrifice most of my collection if I ever wanted to get anywhere with a particular system. In my particular case I was always very fond of Nintendo. Most of my childhood revolved around playing Super Mario games. So it was a no brainer for me to trade or sell off anything not Nintendo-related. Although I enjoyed Sonic growing up I knew Sega was never my passion. I got rid of all my Genesis, Master System and Dreamcast games. I didn’t exactly have hundreds of games for each system, but I had a hefty amount. Slowly my Sega collection (along with other systems) started disappearing, while my overall Nintendo collection grew. Now when I was out looking for games without the distraction from other systems anymore. I knew where my focus was and I wasn’t spending money on games I didn’t want. Ultimately people are free to collect for any system they want to. In my personal experience it helped to seek games for only the things that I was really passionate about. It definitely helps to set goals and priorities before you start collecting. It’s always easy to jump in to this world with both feet and land on your face. For me nothing trumped Nintendo. For you it might be all about Sega. The great thing is, your choices are what will make your collection YOUR collection. To check out more tips for game collecting, click here. To stay updated with Doug’s posts, click here.